"In 2013, Chinese users' investment in machine tools will increase by 16%, and it is expected that the increase in investment will be even higher in 2014." Schaefer, General Manager of the German Machine Tool Manufacturers Association, at the press conference of the 2013 European Machine Tool Show (EMO) in Hannover Make the above statement. According to report, the 2013 Hannover European Machine Tool Show will be held in Hannover, Germany from September 16th to 21st next year. Chinese manufacturers who want to explore overseas markets can visit the metal processing manufacturers from all over the world to discuss the cooperation. . It is understood that the scale of the international machine tool market has more than doubled in the past 20 years. In 2011, the international machine tool market trade volume reached 86 billion US dollars. For several consecutive years, the consumption of machine tools in the international market rose by an average of nearly 10% (in U.S. dollars), and the main driver of growth came from Asia. Statistics show that three-fifths of the international machine tool output in 2011 flowed into Asia. Although the world economy is in a weak economy in 2012, with the recovery of industrial production in major economies, it is estimated that global machine tool consumption will increase by 8% in 2013 to reach US$96 billion. Related industries will benefit from such industries as the automotive industry and its subcontractors, mechanical engineering, metal production, metal processing, electrical appliances, precision machinery and optics, medical technology and other transportation construction industries (aeronautics, railways and shipbuilding). According to Schaefer, these industries will invest an additional 9% in 2013 for capacity expansion and modernization. It is worth noting that Chinaâ€™s â€œTwelfth Five-Year Planâ€ focuses on sustainable development, efficient production structures and processes, and modernization. 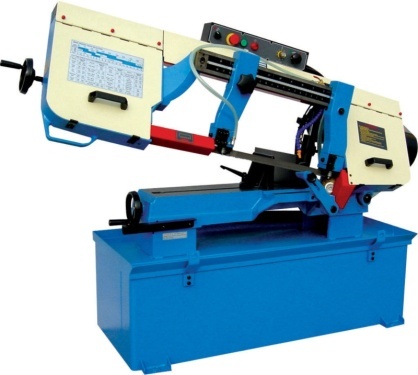 The machine tool plays a crucial role in all three aspects. It is expected that Chinese users will Investment will increase by 16% in 2013 and the increase will be even higher in 2014. It is expected that the investment in large-scale infrastructure in 2013 will effectively boost China's economic growth, especially investment in high-speed railways, urban rail transit, airports and grid expansion. The process of modernization of industrial infrastructure in China is accelerating, and the demand for efficient modern manufacturing technologies has also increased. The purchase of machine tools will thus increase by nearly 12% in 2013 to 38.1 billion U.S. dollars. At present, Chinaâ€™s machine tool export ranks eighth in the world, and Europe is an important market for Chinaâ€™s exports (accounting for 24% of the market, with a market size of US$600 million). The European Machine Tool Show provides Chinese companies with the world's top machine tools and Opportunity for component manufacturers to get in touch.